According to multiple sources, including Billboard, Lady Gaga has been confirmed to replace Beyoncé and will headline on Saturday nights (April 15 and 22) both weekends of Coachella 2017. 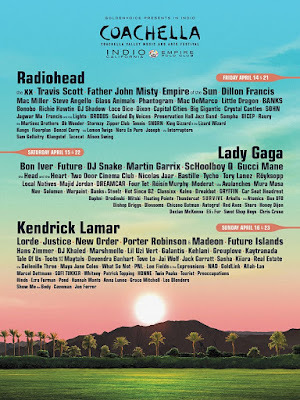 Coachella is set to be held at the Empire Polo Grounds in Indio, CA April 14-16, 2017, and again the following weekend, April 21-23, 2017. According to Billboard, "officials with festival organizers Goldenvoice and AEG Live are finalizing plans to bring Gaga's huge stage production to Coachella and will make the announcement in the coming days." Last week Beyoncé, who is pregnant with twins, was forced to pull out of performing at Coachella. The entertainer is slated to perform at the event in 2018. 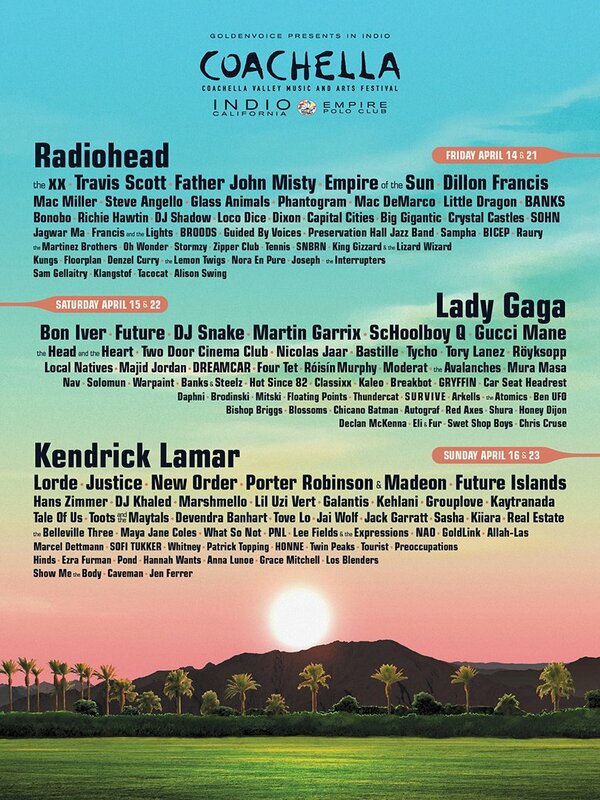 Check in at Coachella.com for all the details as they are made official. As promised, Depeche Mode continues to roll out theirGlobal Spirit Tour, with the second leg bringing their stunning live show to fans across North America this fall. 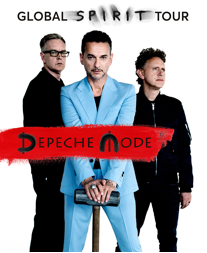 Fans can register now for early access to tickets at presale.depechemode.com. By registering, fans will reserve a spot in line for the fan presale, which they can then improve by sharing their unique presale link with friends and family, or by preordering Depeche Mode's new album Spirit. On March 6, days before tickets go on general sale to the public, fans who have registered will be let into a special ticket presale in waves, based on their place in line. The European stadium leg of the Global Spirit Tour, running May through July, has already sold over 1.5 million tickets and has sold-out shows across Europe - just the start of what is poised to be a record-breaking global tour. The Global Spirit Tour will later bring the band to Latin America, with details to be announced shortly. The Global Spirit Tour is in support of the band's upcoming 14th studio album, Spirit, out on March 17th via Columbia Records. The album's powerful and timely first single, "Where's The Revolution", has already been well-received by critics and fans alike, lauded as a strong "return to form" for Depeche Mode. Spirit has already garnered critical acclaim in early previews, with Q Magazine calling it "the most energized Depeche Mode album in years". Citi® is the official credit card of the Global Spirit Tour. Citi cardmembers will have access to presale tickets beginning Tuesday, March 7 at 10AM through Citi's Private Pass® program. For complete presale details visit www.citiprivatepass.com. American Express® Card Members can purchase tickets to the Hollywood Bowl performances before the general public beginning Tuesday, March 7 at 10AM. About Depeche Mode: One of the most influential, beloved and best-selling musical acts of all time, Depeche Mode have sold over 100 million records and played live to more than 30 million fans worldwide. Formed in 1980, Depeche Mode - Martin Gore, Dave Gahan and Andy Fletcher - continue to win critical and commercial acclaim around the world both in the studio and on the road, with innumerable artists citing them as inspirations and innovators. The band's 13 studio albums have reached the Top Ten in over 20 countries, including the US and UK. Their last studio album, 2013'sDelta Machine, debuted at #1 in 12 countries around the world, and launched a world tour that saw the band play to more than 2.5 million fans. In fall 2016, Depeche Mode's Video Singles Collection, a definitive 3 DVD library anthology containing more than four hours of their groundbreaking music videos, was released by SONY Music Entertainment. Their upcoming 14th studio album Spirit and the Global Spirit Tour are poised to continue the band's history of musical innovation and the band's critical and commercial success. I have plenty of great music-related news to share! I had to lead off with the 'LOGAN' update; I am super excited to see Hugh Jackman's last movie starring as Wolverine. Lakeshore Records will release the LOGAN- Original Motion Picture Soundtrack digitally on March 3 and on audio CD March 31, 2017. 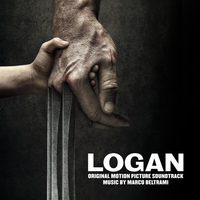 The album contains original music by Marco Beltrami (BEN-HUR, THE HURT LOCKER) who previously scored two films for director James Mangold, 3:10 TO YUMA, for which Beltrami earned an Academy Award® nomination, and THE WOLVERINE. In the near future, a weary Logan (Hugh Jackman) cares for an ailing Professor X in a hide out on the Mexican border. But Logan's attempts to hide from the world and his legacy are up-ended when a young mutant arrives, being pursued by dark forces. Marco Beltrami is an award-winning composer who built his reputation as a genre innovator with non-traditional horror scores for the SCREAM franchise and DON’T BE AFRAID OF THE DARK. Beltrami’s musical palette has since expanded to virtually all film genres. He has received two Oscar nominations for Best Original Score, for THE HURT LOCKER and 3:10 TO YUMA. He has received two Critic’s Choice Award nominations, and he was Emmy nominated for Outstanding Music Composition for a Series for THE PRACTICE. In 2011, he won the Golden Satellite Award for Best Score from The International Press Academy for SOUL SURFER and in 2014 was nominated for a World Soundtrack Award for Film Composer of the Year, for his incredible range of projects including CARRIE (2013), A GOOD DAY TO DIE HARD (2013), The Homesman (2014), Snowpiercer (2013), Warm Bodies (2013), The Wolverine (2013) and WORLD WAR Z (2013). Current projects for Beltrami include scoring the hit Fox television show, LUCIFER, which recently got picked up for its third season. 20th Century Fox presents LOGAN in theaters on March 3, 2017. Lakeshore Records will release the LOGAN – Original Motion Picture Soundtrack digitally on March 3 and on audio CD on Friday, March 31, 2017. Singer-songwriter/multi-instrumentalist Aimee Mann has revealed a behind the scenes look at the making of her new album Mental Illness (due out March 31, 2017 on her own SuperEgo Records). Watch here: https://youtu.be/XSUF_umjo0E. Mental Illness shows off Mann’s rich, incisive and wry melancholia in an almost all-acoustic format, with a “finger-picky” style inspired by some of her favorite ‘60s and ‘70s folk-rock records, augmented by haunting strings arranged by her longtime producer, Paul Bryan. 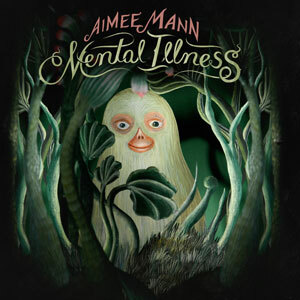 Aimee remains a student of human behavior, drawing not just on her own experiences to form the characters in the songs but tales told by friends. 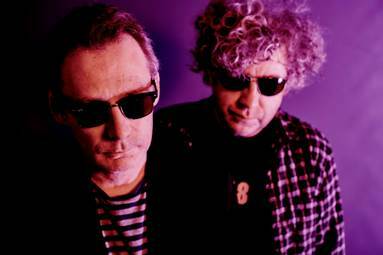 The Jesus And Mary Chain set to return in 2017. The Jesus and Mary Chain have announced Spring North American tour dates. The upcoming shows are set to follow the band’s highly anticipated new studio album ‘Damage and Joy’ – out March 24th on ADA / Warner Music – and will see the duo performing new tracks from the LP live for the first time in the US & Canada. The trek begins on May 9th in St. Paul, MN and is expected to hit Brooklyn, NY and Los Angeles, CA, among others. Tickets are on-sale this week via the band’s website.